Get pro quality photos, fast! print vibrant, 4 x 6 inch photos in as fast as 37 seconds. 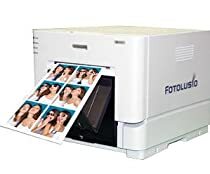 While the Epson printer is the most portable photo printer, you'll find yourself changing photo paper and ink very frequently. I would stay away from using at big events with over 100 guests or if you're doing photo booths professionally or frequently. Supports multiple print sizes: 2x6", 3.5 x 5", 4 x 6", 5 x 7", 6 x 6" and 6 x 8"
The size of CPD70DW is quite larger then most printers in its class. Installation takes a bit of time to figure out the drivers. Would you recommend the HiTi P510L printer? 330 prints per roll (4x6), as fast as 12 seconds (4x6) and does natively 4x6, 5x7, 6x8, matte or glossy. Has anyone used the Canon Selphy CP910? 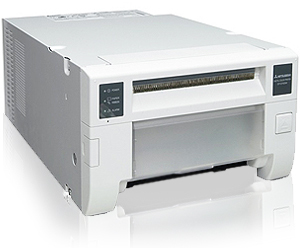 Canon Selphy is small, light, affordable, but slower than true event printers, only supports 4x6, and requires manually tearing off the perforated handling strip from every print. The cost per print is also higher, with limited yield from each pack. Excellent for personal scrapbooking, extremely slow and limited for photobooth work. The old kodak 6800 and 6850 printers works a charm on this great software to produce a tearfree and waterproof print in 19 sec. Heavy but gives 750 4x6 prints on a roll. Recommended size is 4x6; print quality gets little faint under that. If one could get the machine to cut 2x6 strips through a firmware update? Is that possible to print with the Fujifilm ASK-300 ? Any printer that works on Windows or Mac will work with dslrBooth. Is there option to add this function to dslrbooth as well? You can tweak the final print margins under: Settings, Printing, Printer Alignment. You can change the scale (zoom) and position (left to right, top to bottom). Wow, that`s working perfect :) Thanks!